I have labored elsewhere to demonstrate the progressive nature of biblical revelation and the trinitarian conception of God within the New Testament, and the New Testament’s conception of the Old Testament. Since the depiction of God within the New Testament is the supreme revelation of the nature of God, an inerrantist view of the biblical text demands that the Old Testament agree. Despite this, it is a common tactic of Oneness Pentecostal and subordinationist apologists to claim that the Old Testament, especially the many monotheistic decrees in the “Trial of the False Gods” (Isaiah 40-45), precludes a trinitarian conception of God. However, a careful reading of the Old Testament text divulges robust support of the doctrine of the Trinity. The Old Testament’s theology of God is thoroughly proto-trinitarian, and can only be reconciled with unitarianism by way of ignoring large portions of key narratives or an intensely eisegetical hermeneutic. Throughout the Old Testament there are appearances of an individual known as the angel of the LORD. 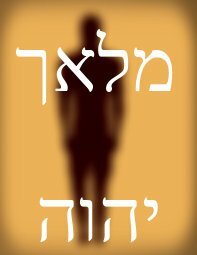 The term “angel,” either in Hebrew or Greek, refers not to a specific ontology, but rather the function of an individual. Therefore the phrase “angel of the LORD” does not in and of itself communicate the nature of the messenger, but instead his relation to Yahweh. The angel of Yahweh, while personally distinct from Yahweh, is Yahweh himself. That is, the angel of Yahweh is neither a creature or a manifestation of a unitarian God, but instead a divine person who is God himself. In order to demonstrate the above claim, I will provide a consideration of two varieties of texts. First, those passages which show the absolute deity of the angel of Yahweh will serve to demonstrate the illegitimacy of any unitarian theology that seeks to subordinate the angel of Yahweh. These texts show the deity of the angel of Yahweh by identifying him as Yahweh and by attributing to him actions and attributes that belong only to God. Second, passages which show a personal distinction between the angel of the LORD and the LORD both in communication and economy will demonstrate the presence of trinitarian relationships in the Old Testament. Premise 1: The angel of Yahweh is God Almighty. Premise 2: The angel of Yahweh is personally distinct from another person named Yahweh. Conclusion: There exists a relationship that is trinitarian in shape between the divine angel of Yahweh and Yahweh in the Old Testament. While ‘every proper noun is determinate per se,’ this may not always apply to nouns in construct with a proper noun. This is corroborated by Gesenius: ‘In a few instances [when] the nomen regents appears…it often is so before a proper name,’ as in …a feast of the Lord (Exod 10:9)… an abomination unto the Lord (Deut 7:29) … a virgin of Israel (Deut 22:19) … a man of Benjamin (1 Sam 4:12), etc.’ Hence, it may be correct to translate the anarthrous construct noun (מַלְאַךְ) as indefinite. In identifying the Son of God’s involvement in the exodus, the New Testament has provided an inspired identification of the angel of Yahweh’s identity. The angel of Yahweh who is credited with saving a people out of Egypt is none other than Jesus Christ, and therefore the phrase mal’āk yahweh depicts a single individual consistently. Paul went further to exhort the Corinthians not to “put Christ to the test, as some of them did and were destroyed by serpents” (v. 9). Clearly, Paul saw the Son of God as the God of Israel and yet distinct from the Father. In light of the above, there is overwhelming evidence which supports the traditional contention that the phrase mal’āk yahweh ought to be rendered definitely.